June through August, valley clubs knock down their rates; many offer stay-and-play packages with discounted hotel suites and hospitality services. When it is too hot outside to play, head indoors where you can find golf clinics, seminars, and events. If you’re looking for prime course access and the best deals of the year, there’s no better time to tee up than off-season. June through August, valley clubs knock down their rates; many offer stay-and-play packages with discounted hotel suites and hospitality services. As a rule of thumb, avoid the midday sun and cool off in the clubhouse bar instead. Part of the mid-valley hotel and golf campus, the Hyatt’s 45-acre spread includes seven swimming pools, tennis courts, and the choice Agua Serena spa. 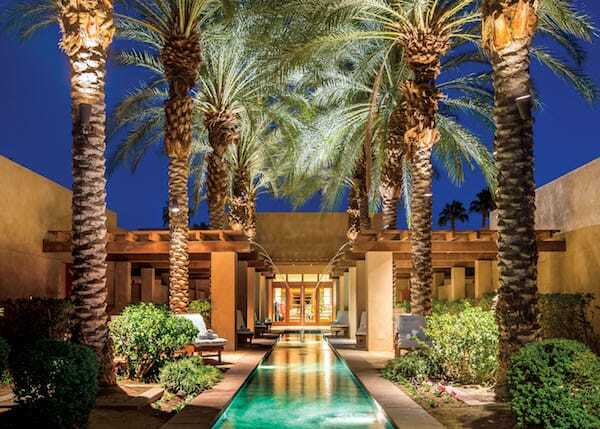 For golfers, the property provides primo ease of access to on-site Indian Wells Golf Resort, with 36 holes. Low-handicappers will want to take on the John Fought–designed Players Course, while all levels will revel in the floral color splash and water features of Clive Clark’s Celebrity Course. Keep your eye out for upgrades to the Putting Course, which brings a new style of socialization to the golf scene. For one of the desert’s most underrated stay-and-play options, a getaway to Shadow Ridge need be on the tee sheet. One- and two-room villas enjoy mountain vistas and patios that overlook the course action. The first domestic design from six-time major championship winner Nick Faldo, the grounds’ generous landing areas from the tee boxes precede continual tests of lofted iron, wedge, and putting skills. And for the truly driven: Anything from an hourlong tune-up to three-day instruction at the property’s Marriott Golf Academy is certain to provide expert use of the valley’s most thorough public practice facility. A resort refresh has this property on the upswing. 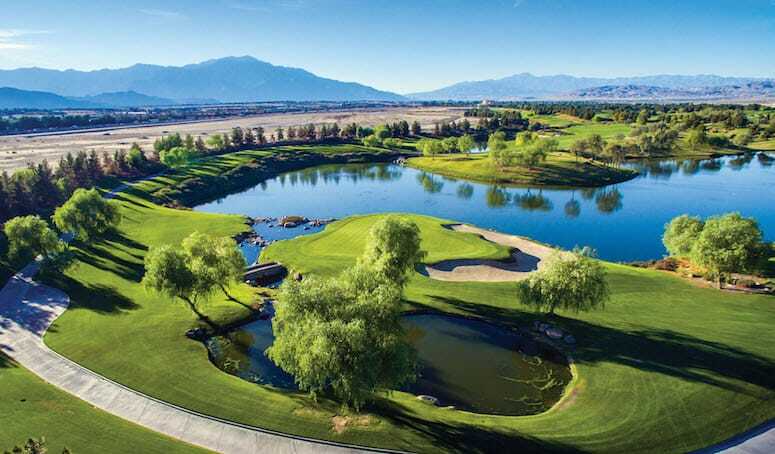 The on-site Desert Princess Country Club provides a unique 27-hole layout, with a distinct flavor of play for each nine, taking golfers across an engaging spread of desert and manicured terrains. For resort (and rusty) players, the Vista Course lends the opportunity to drive the ball across rolling grass, while both the Cielo and Lagos nines prove sterner tests. Views of desert sunsets and the stunning Jack Nicklaus–designed golf course are standard at Escena Lounge & Grill. Celebrate your hole-in-one with a martini at the circular bar while knocking back a few oysters. Open for breakfast, lunch, and dinner, the midcentury modern restaurant also hosts a mean Sunday brunch that includes a basket of fresh-baked muffins. 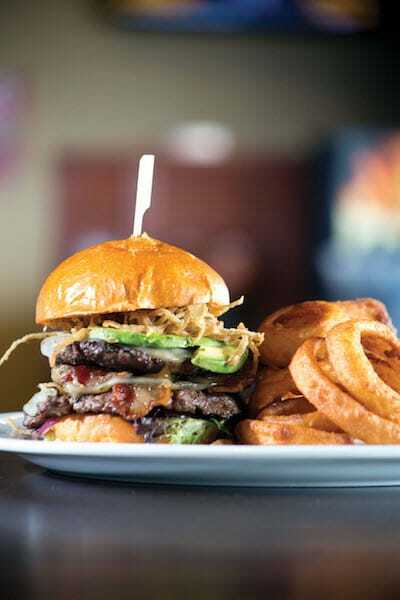 This premium burger joint and sports bar is a veritable oasis after a long day on the green. You’ll find a menu filled with burgers, sandwiches, and prime rib that will have you salivating before you can yell “Fore!” Ready to sweat? The 187 Burger (named after the police code for murder) is known as the hottest hamburger in the desert, made with jalapeños, grilled habaneros, jalapeño jack cheese, ancho chili spread, and a signature ghost-pepper sauce, along with crispy onion straws and bacon. Consider us frightened. Dining on upscale pub food and loaded salads in the surroundings of the world-class Nicklaus Tournament golf course is the best way to absorb the laid-back desert vibes. The restaurant takes in breathtaking views of the ninth and 18th holes so you can catch the game from indoors. Or sip your cocktail outside after sundown by the fire pits. Maybe you tweaked your neck on that fairway shot. Or you’re stuck with someone who plays golf all day and you need a way to pass the time. In either case, you can’t do much better than one of the creative massages at this resort spa. The Hole in One massage is actually performed with golf balls. There’s also one in which the therapist anoints your body with warm candle oil; others employ sticks and stones or lava shells. Additional treatments include facials, wraps, waxing, and hair and nail services. One of the longest par-3 courses in the nation, at a shade over 3,000 yards, the valley’s only course lit for evening play proves a dusk-to-dawn challenge. 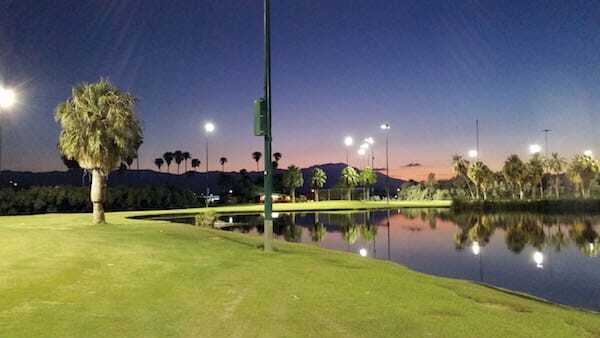 An on-site driving range and budding FootGolf scene are popular draws for nighttime fun. And for serious sticks looking for a game, the seasonal “Muni Madness” party-golf gatherings bring in some of the desert’s best players. Knock around a bucket of balls on either the grass range or mats at the valley’s largest public driving range, lit for evening swinging on weeknights. Regulars range from daily duffers to luminary desert instructors. There is also a putting green and short-game area, and the neighboring Nakashima Golf shop can furnish you with equipment. With wall-to-wall coverage of all things golf, the national brand has everything for both the single-digit player and the first-timer. 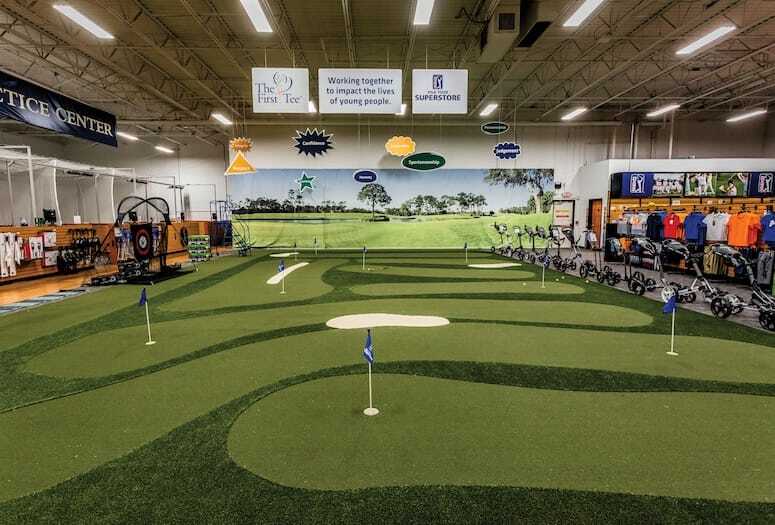 A thorough selection of equipment, attire, and footwear gets you outfitted; club repair and custom fittings complement the indoor practice bays, where you can tool around with your new gear or just get in a few practice putts. There are weekly clinics, competitions, events, and seminars to keep the swinging fresh, fun, and interactive. Not limited to golf, the superstore also sells tennis trappings. The Stadium Course annually challenges the world’s best as part of the CareerBuilder Challenge rotation, for pros and driven amateurs alike. No player is immune to the stern tests of the final three holes. Expertly routed through manicured desert terrain, the Firecliff Course (the tougher of the two Desert Willow tracks) challenges with continual stimuli from the tees. The valley’s most beatific bunkering is at the Players Course, which proves eye-catching from afar … but not always so pretty from the vantage of a novice sand player. Arnold Palmer’s inspired spread of trees, water, and wildlife decorate a course (and clubhouse) truly fit for a King. Test your distance abilities from the tips. Another superb Palmer design recently got a back-nine makeover to accommodate a hotel addition and site enhancements. The par-3 11th is a stunner over water, and the par-4 18th is a chance for a finishing birdie.